If you have been following our page long, you know that every few months or so we do a FREE laundry Project. So many of us take for granted having clean clothes and doing out laundry, but to many this is a luxury. 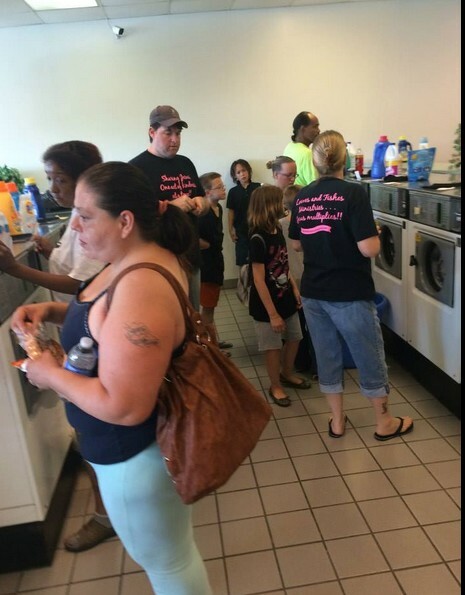 They cannot afford to do their laundry, meaning they do not have clean clothes. This is such a cool way to show the LOVE of Jesus!! 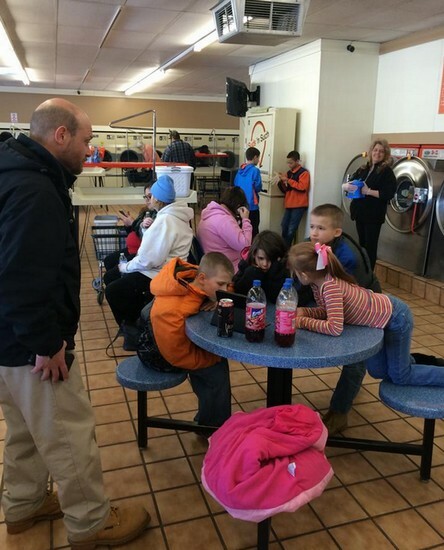 We go into a laundromat for 3 hours and do 2 loads of laundry for FREE per family (we pay for washing, drying, supplies, fold, and also take out to their car). In addition, we also provide light refreshments and just have an amazing time in fellowship with many who are struggling financially. It has become an amazing day for everyone involved, the givers and the receivers, because at the end of the day we have all received something. We are providing another FREE Laundry Project on Saturday, March 3rd at Super Suds Laundromat at 3509 W. Alexis Road in Toledo . We will be providing 2 loads of laundry per family (while supplies last). There is so much negativity in this world, its time to show communities something positive and let it start with Toledo, OH!! Let’s show other communities how much random acts of kindness truly can impact someone’s life. If you have been following the blog long, you will remember we have done 10 FREE Laundry Days with over 1500 loads done to date. It is heartwarming! 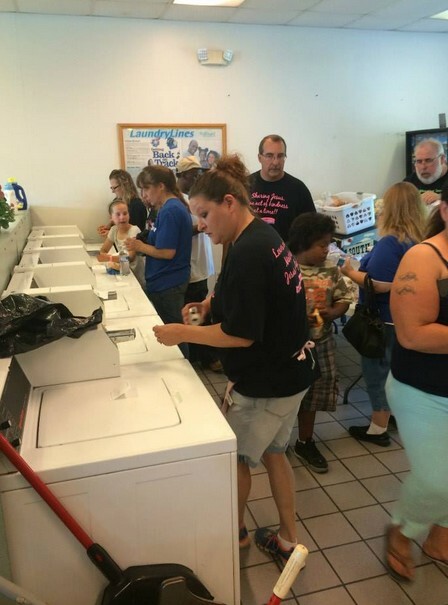 FREE Laundry Project in Toledo, Saturday, August 6th from 10 a.m. – noon!! If you have been following our page long, you know that every 2 months or so we do a FREE laundry Project. So many of us take for granted having clean clothes and doing out laundry, but to many this is a luxury. They cannot afford to do their laundry, meaning they do not have clean clothes. This is such a cool way to show the LOVE of Jesus!! We go into a laundromat for 2 hours and do 2 loads of laundry for FREE per family (we pay for washing, drying, supplies, fold, and also take out to their car). In addition, we also provide light refreshments and just have an amazing time in fellowship with many who are struggling financially. It has become an amazing day for everyone involved, the givers and the receivers, because at the end of the day we have all received something. We are providing another FREE Laundry Project on Saturday, August 6th at Reynolds Laundromat (Jesse James Plaza) 521 S. Reynolds Road. We will be providing 2 loads of laundry per family (while supplies last). We are still looking for businesses, churches, and families to make a monetary donation, purchase food items, or volunteer the day of event. IThere is so much negativity in this world, its time to show communities something positive and let it start with Toledo, OH!! Let’s show other communities how much random acts of kindness truly can impact someone’s life. 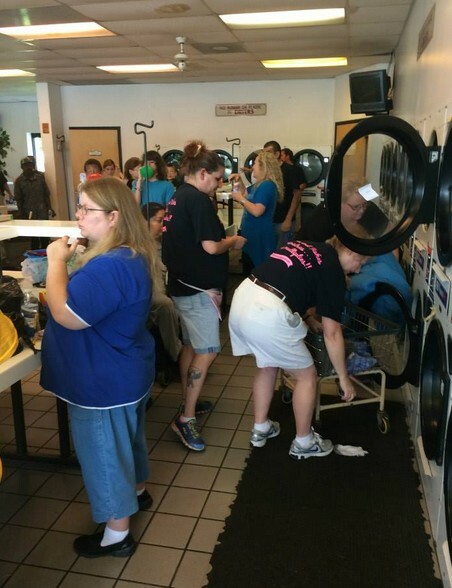 FREE Laundry Project 7/18/15 – 105 Loads Washed and Dried!! 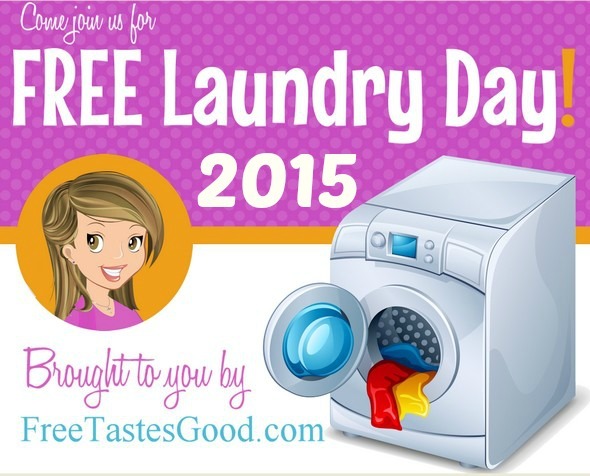 FREE LAUNDRY PROJECT 7/18/15 – 105 Loads Washed & Dried!! These are some of my favorite days. I love seeing familiar faces and we also love all the volunteers. I cannot thank everyone enough for volunteering. Today, was soooo hot, but nobody complained. We had so much ice water and Tom, Sheila, and Lilly brought a ton of panera bread and many of the people took bread home with them. Everyone that comes in is so appreciative.God is so good how he shows up in BIG ways and just when we need him. We had a great crew of volunteers today – things ran smoothly. We had over 20 people lined up before it even started ~ which was amazing”-) Thank you to everyone, but especially those that worked the dryers. It was soooooo hot especially for those by the dryers. I cannot tell you all how blessed I feel to be a part of this. My favorite part is always the prayer at the beginning. Our prayer is always for everyone to feel the love of Christ and I can say with certainty that Jesus was in the House today:) Thank you to Ed for getting all the releases signed. This will air around Thanksgiving on TLC and I will be certain to let you all know of the date. Asking for prayers that everyone can feel the love of Jesus through the TV and see how much this helps those in need. We can look down on others or we can given them a “hand up” and that is what our familiy chooses to do. Matthew 25:40. We had one lady say she was praying how she was going to be able to do her laundry and her brother called to tell her about the FREE laundry day. I told her God always provides and he does. Thank you all for your support for all these events. None of this is possible without all of you. Together, we are serving Jesus one act of kindness at a time. Love you all so much!! To God be the glory. GOD IS GOOD. . .ALL THE TIME!! 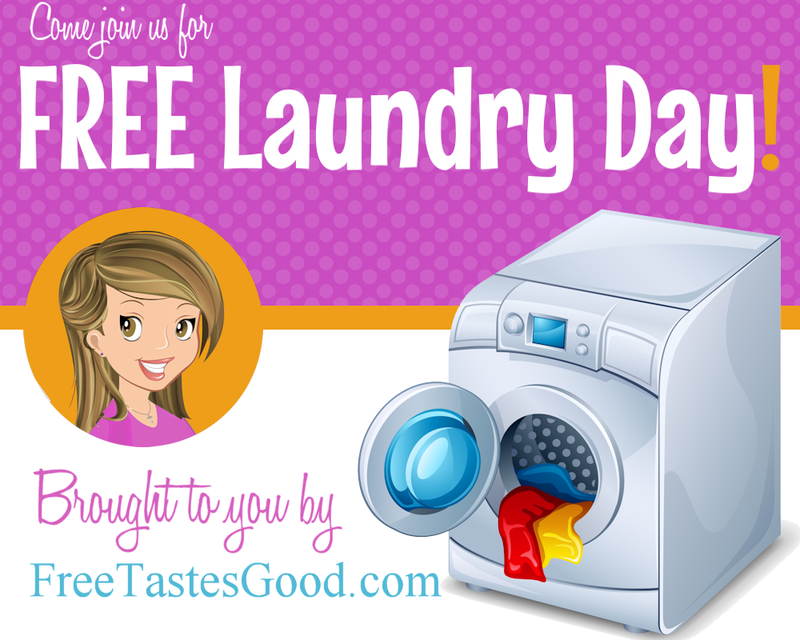 FREE Laundry Project 3/7/15 – 98 Loads Washed & Dried!! Such an amazing day!! 98 loads washed and dried! To God be the glory!! It is always amazing to see what God has in store for each of our FREE laundry Days. Today, was an AWESOME day. We arrived at 9 a.m and had a few people waiting already. We normally wait until 10 to start, but decided to start around 9:30 and get the people going. Since we changed up the schedule a bit and my problems with anxiety, we forgot to pray, yes, we forgot. About 11 a.m. Tony (TPD Sargent) came up to me and said did you forget something today and I was thinking, I have all the laundry detergent, quarters, we paid them, all the kids were with me, and he said “Did we forget to pray”. My eyes flooded with tears. I felt horrible. How did we forget to pray? 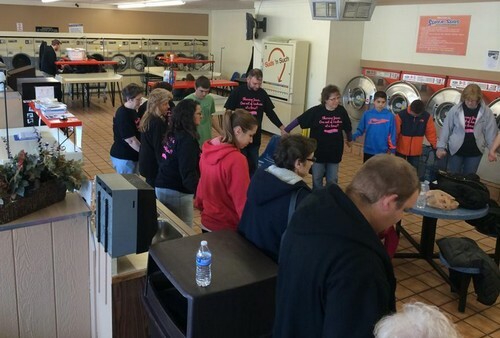 But it worked out nicely because we prayed and almost every person getting their laundry done joined in the prayer circle. God’s timing is ALWAYS perfect and I think it was cool to watch so many join in. We had a steady flow of people coming in today. We finally have a nice system down and I think everyone really enjoyed themselves. I always leave there feeling more blessed than the ones receiving the FREE laundry. Today was no exception. It was sooooooo good to see so many of you. I could not believe how much I missed everyone. I want you all to know how much you mean to me. I love fellowshipping with you all and I love watching God at work. My buddy, Andy, helped again and was a huge blessing. He was the “greeter” and helped everyone bring their clothes in. First impressions are huge and he blessed everyone that walked in the door. To look around and see all the smiling faces, I love it!! So many kids come too and with all the treats, it is fun to watch them get all excited and then of course having messy faces. God is doing a mighty work at all of these events. I love Tony and Jim (the two officers that keep all of us safe). They are now family just like all of you!! Thank you from the bottom of my heart for all the volunteer help, monetary donations, donations of food and laundry supplies, and all the prayers. It all matters and that is why these events are so successful because of all of you and of course because of God!! Next FREE Laundry Day is April 25th and we will begin raising money again soon:) Hope you all are having a blessed Saturday!! Love you all more than you will ever know!!! 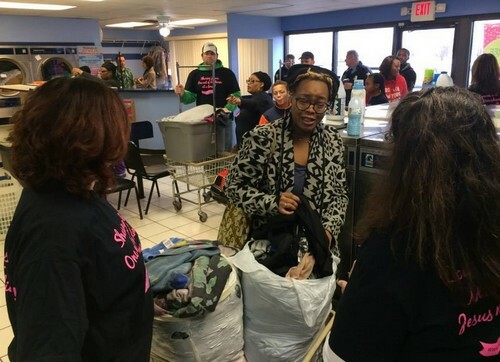 **URGENT NEED** FREE Laundry Project in Toledo, March 7th!! 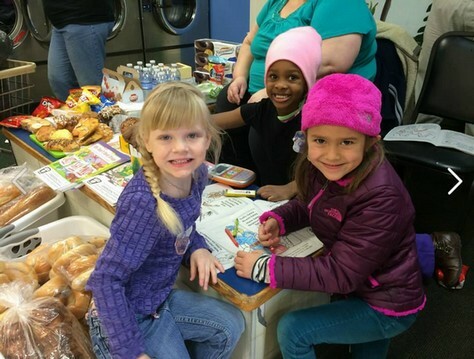 We are providing another FREE Laundry Project on Saturday, March 7th at Super Suds Laundromat, 3509 W. Alexis Road, Toledo, OH . We will be providing 2 loads of laundry per family (while supplies last). We are still looking for businesses, churches, and families to make a monetary donation, purchase food items, or volunteer the day of event. In addition, we are asking for donations of fabric softener and dryer sheets. There is so much negativity in this world, its time to show communities something positive and let it start with Toledo, OH!! Let’s show other communities how much random acts of kindness truly can impact someone’s life. If you have been following the blog long, you will remember we did 4 in 2014 with over 800 loads done to date. It is heartwarming! 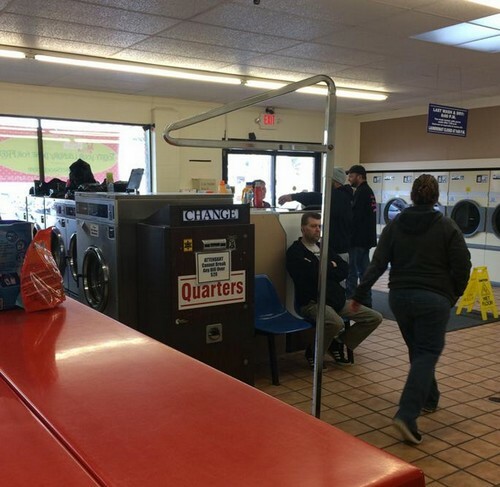 FREE Laundry Project 1/24/15 – 49 Loads Washed & Dried!! What a great day #freelaundryday was. . . As most of you know we started this last February and today was our 6th event. What we do is go into a laundromat for 3 hours and pay for everyone’s laundry and provide all the supplies (laundry detergent, softener, bleach, dryer sheets, etc). 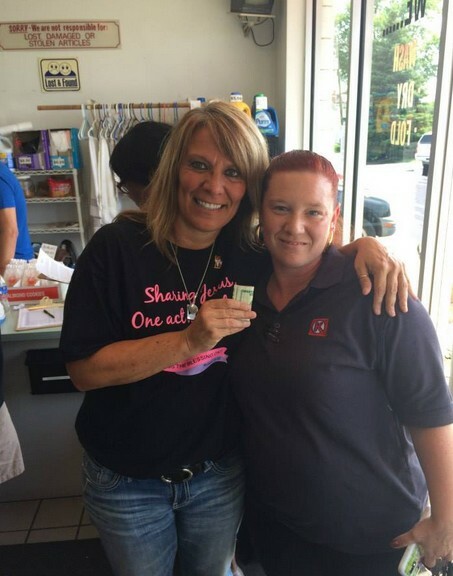 Before I go into details about today I want to give a huge shout out to Reynold’s Laundromat, Matt and Kristi Rasor (owners), and their staff, Josh, Josh, and Josh; and yes, 3 Josh’s, LOL:-) This place is a place full of LOVE and we are so thankful to have been able to partner with them. They go above and beyond to make this event perfect and we are so blessed to call them all friends!!! I could write story after story about these events and the friendships that are being formed and how blessed I feel. So much time and energy are put into these events and to see it all come together is priceless. I also need to personally thank every single person that volunteers, makes monetary donations, or prays over the event. None of this is possible without all of you, so thank you from the bottom of my heart. Danielle and Vanessa are the glue that keep it together. They come in and handle all the details. I give them the list and they just get done what needs to get done. I am so blessed to have both of them in my life. Jamie, my husband, and my kids are just amazing. They all work so hard and I love to watch them at work, loving on others. Sargent Tony and Officer Jim keep us safe, but more importantly they are both family now. I cannot imagine these events without them being there. To watch them interact and talk to people is priceless. Today, we were able to do 49 loads of laundry and it all started with Ms. Theola who was next door getting her hair done. She stopped in to see what was going on and we told her and she made some calls to her family and from there it took off. Check out her before and after pictures, LOL 🙂 Honestly, I love the entire day, but I think my favorite part is watching the interaction between everyone. People loving on each other, laughing, watching hands touch hands, and who thought doing laundry could be so much fun?! God wants us to serve in all capacities and I cannot think of a better way to serve than by doing others’ laundry for FREE and loving on them. We had so many volunteers today and it was AWESOME. So many new faces and so many that have helped at almost every event. So thankful that Robin brought her granddaughter today and watching all the kids become friends and interact. The best part is there was every nationality today, but when we are in those walls, there is no color barrier; the walls are full of a love that only comes from Christ. So excited that Andy (a new follower of the page) showed up and donated 4 bottles of fabric softener and was able to stay and volunteer. Just so neat to watch so many stepping up to be a part of serving and doing God’s work. God is doing amazing things in our community and it is cool to sit back and watch it all unfold. He doesn’t call the equip, rather he equips the called. God placed serving on my heart at the age of 5 and I will continue to serve until I take my last breath. I want others to see Jesus through me and my family. I want others to know they matter, they are special, they are masterpieces created in God’s image. None of us can help everyone, but all of us can help someone, and when we do, we serve today. Today, I am certain God was glorified and I am thankful to each and everyone of you. If you are local, I ask you to please support Reynolds Laundromat. They are God loving people and they will take good care of you. 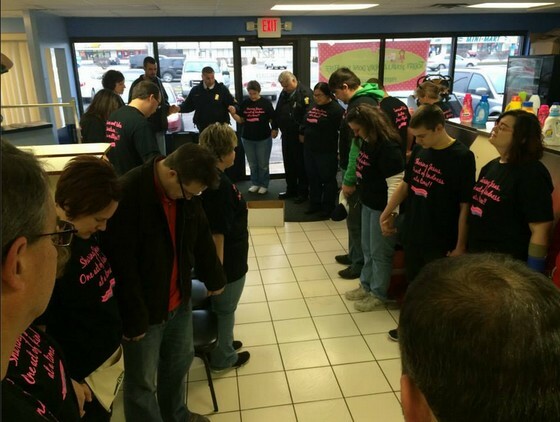 Let’s stand together and support these places that are helping change our community. 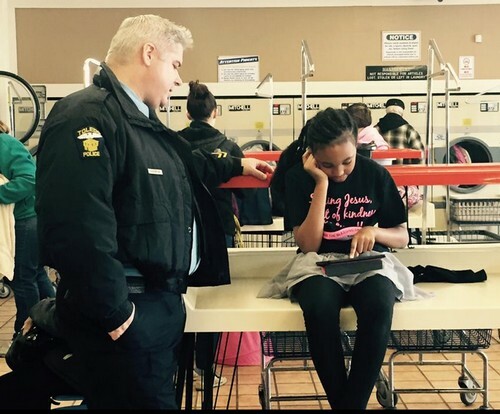 Our next #freelaundryday is February 24th and we are hoping at that event to hit the milestone of 1000 loads of laundry done with LOVE. May you all be blessed today. Love you guys so much!! 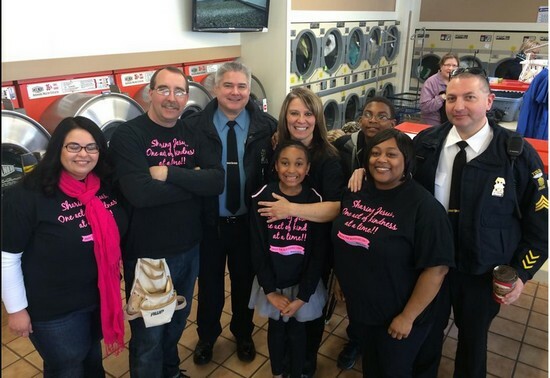 FREE Laundry Project in Toledo, January 24th, 2015 PLUS 5 additional dates!! 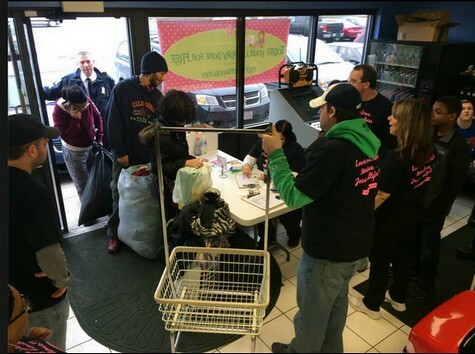 We are providing another FREE Laundry Project on Saturday, January 24th at Reynolds Laundromat, 521 South Reynolds Road (Jesse James Plaza), Toledo, OH . We will be providing 2 loads of laundry per family (while supplies last). We are still looking for businesses, churches, and families to make a monetary donation, purchase food items, or volunteer the day of event. In addition, we are asking for donations of fabric softener and dryer sheets. There is so much negativity in this world, its time to show communities something positive and let it start with Toledo, OH!! 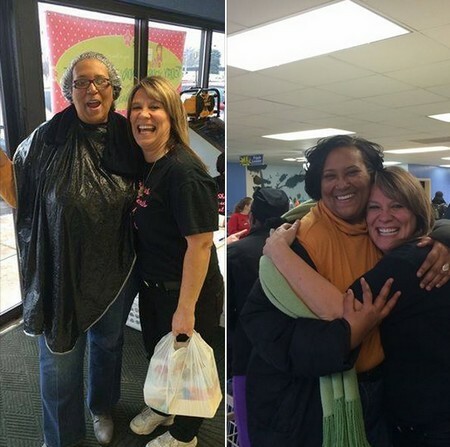 Let’s show other communities how much random acts of kindness truly can impact someone’s life.